Mount Bromo is located at about 4 hours drive from Surabaya, the capital of East Java, in Indonesia and it is part of the Bromo Tengger Semeru National Park. It is considered one of the top bucket list destinations in Indonesia, one of the places to visit in Indonesia. I suppose it deserves to be one of them. But despite my best efforts and almost complete lack of expectations, I could not warm to it. In fact, I doubt I will ever want to give it a second chance, not until I know for a fact that things over there have changed, that this attraction is managed differently and in what to me is a more enjoyable way. Don’t get me wrong, Mount Bromo is a site of amazing natural beauty and I think in the right conditions it would be quite enjoyable, but as things stand at the moment, and based on my experience, I did not enjoy it one bit. What I faced in Mount Bromo was the biggest cultural and personal clash I have ever experienced in my many years of living abroad and traveling to countries near and far (actually, very far) from home. I do believe that traveling is much more about self discovery than about the actual discovery of a destination. Sure enough, I understood many things about myself when I visited Mount Bromo. It has been an enlightening experience as it made me come to terms with some aspects of myself that I did not know where so deeply rooted, and it made me realize that I am much more sensible than I perhaps like to show. It made me understand that different people will see the same thing differently. It also made me understand how important responsible tourism is to me and that it is the only way I want to travel, and that I want to become an advocate for it. And it finally made me decide that I can’t and won’t ever tolerate animal cruelty, no matter what, no matter where, no matter the excuse. You see, I am an atheist and hardly a believer that heaven and hell exist. Yet, if I have to describe my experience in Mount Bromo, the first thing that comes to my mind are the Nine Circles of Hell of Dante’s Inferno. Much like Dante’s journey through hell, accompanied by his guide Virgil, I felt that I was also going through the nine circles, although in my case there was no real guide in sight but just other members of the tour group. Each step that took me closer to the crater of Mount Bromo was a step into one of the nine circles, each nastier, scarier and more painful and sorrowful and than the previous one. My first circle was Limbo, the one that pagans, non-believers, deserve – for a pagan I was, as (shame on me!) I had close to zero knowledge of Mount Bromo before visiting. But that was soon to change, as I made my way through the other circles. 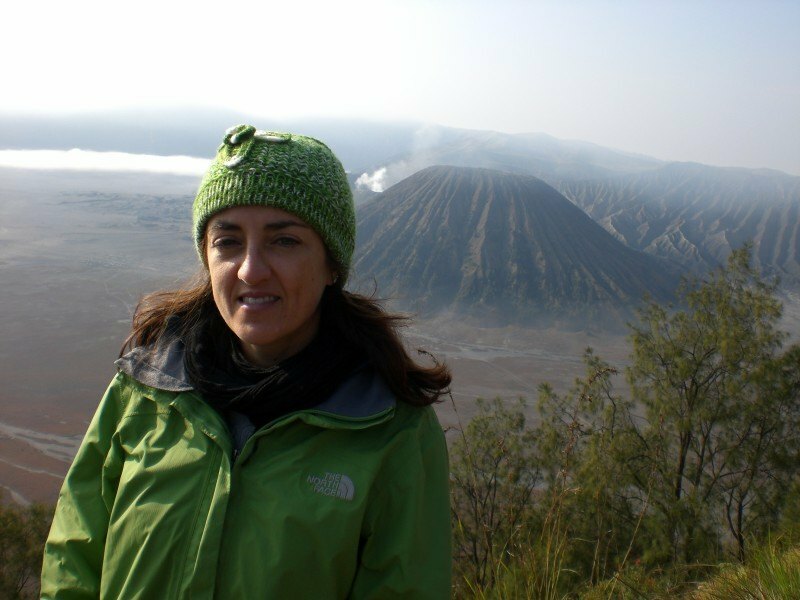 My visit to Mount Bromo was included in a guided group tour of Indonesia to which I took part. I was glad it was one of the included destinations on the tour, because I really do enjoy volcanoes and generally they are the highlight of any of my trips. Little did I know that this time it would be the other way around. The night before visiting the trip organisers gave us instructions to wake up at 2:00 am and told us that, as this was a popular attraction among Indonesians, there would be even more people on a Sunday. I had no idea what to expect – but I soon learned that my definition of “a lot of people” surely isn’t the same as that of Indonesians. Read why I like taking guided tours on this post. I didn’t mind having to wake up so early though. In fact, I remembered the many early rises during my long term travels, to see amazing places, and I was greateful I’d get to experience this. There is a special light at sunrise. There is the feeling of exclusivity, of being one of a few that has the chance to enjoy something special; that of being close to nature as the day starts and the first rays of light come through the sky, finally making the surroundings visible and glowing. It was pitch dark when at 2:30 am I met the rest of the group and left to reach Mount Bromo so that we could admire the sunrise. I was sleepy and a bit lost – most of us were – but eager to go. As soon as I got to the meeting point, together with other 4 persons I got wisked on a jeep, although we eventually only left at 2:50 – not bad given the relaxed standards of Indonesia that are so hard to deal with for us Europeans. The minute we left, I knew that this would be a long day. I kept my thoughts to myself and tagged along, trying to push any negativity away. The mayhem began immediately afterwards. A rather silent driver joined a race we didn’t know we were taking part in, against any other jeep also going to Mount Bromo. It felt like being on the Paris-Dakar, with the difference that we were not in the desert, breathing just dust and clean air. We were somewhere in the middle of Indonesia and the dust was mixed to the exhaust fumes, making it hard to breathe. The jeeps sped like mad in the foggy and pitch black night, passing each other on all sides, making many of us think that at each turn we’d actually go on a straight line and that would be the end of our visit to the country. Then, our jeep stopped. In a broken English the driver told us he would not go any further and we’d have to just walk our way to the entrance of the site. There was too much traffic for him to keep going and he’d be unable to park. He told us he’d wait for us, no indication of an exact time (not that it would matter). So we started making walking. What I happened next was so intensely scary, so frustrating, so thoroughly annoying that at the end of that misadventure I was ready to leave the country for good, never to return again. Masks on our noses and mouth in a failed attempt to protect ourselves from the thick fumes, we started walking up, trying to keep an eye on each other so as to not get lost in that madness (there was no way we’d find each other again, in the dark, among thousands of other people); not sure which direction to go but relying on the flow which was only going one way. Is the view of Mount Bromo really worth going through all that trouble? It was pitch dark. It was noisy. It was frightening. Traffic was mad. In what could be best described as a scene of Apocalypse Now, oblivious to the traffic and the pedestrians, jeeps kept making their way to the top, dropping people off and then coming down again. They were everywhere. They completely disregarded the pedestrians who had to jump on the side of the road, in the very limited space (and remember, it was dark!) to avoid being hit. To add to this already burning hell, a multitude of motorbikes kept zipping their way up and down the hill, again hardly bothered by the presence of pedestrians unless it was for stopping them to offer a ride for as cheap as 10000 Rupiahs, no helmets involved, no guarantee of survival, no strings attached. So unbothered were they by the people that in fact a few times they just about hit us, and we had to scream from the top of our lungs to be heard above the loud noise so that they would avoid us. I felt hopeless. I could not understand why human beings could be so careless and uncivil to the environment; so disrespectful of human life. I was angry at them, for killing every little bit of positive energy I had when I woke up. Energy that I had to use in order to stay alive, to yell at them to move away, to scream to please leave me alone, to please not hit me with their motorbikes. I could only see unsensible, unreasonable people that, for the sake of (actually very little) money, were ruining the environment and what was meant to be one of the most beautiful natural sights in Indonesia. And they were doing it with the tacit consent of the authorities. Then, we finally made it to the pedestrians only area. What literally were hordes of people were all going up, to the view point, to see the seeminly amazing sunrise on Mount Bromo. We eventually made it to the top to just find out that the actual smart ones had taken all the best front row “seats” – they had camped there the night before. Selfie sticks out, these multitudes all waited cheerfully (and noisily, so as to kill any magic left in the air) as we on the other hand tried to find a spot were we could stand and brace ourselves against the bitter cold (now, being cold is actually as unique an experience as one gets in Indonesia!) till the sun would come out and showed us Mount Bromo in all its mighty beauty. So we waited. And waited. And waited. And theoretically the sun came out, but some thick clouds covered Mount Bromo so we did not get to see it. There is nothing one can do when nature rebels against his or her wishes, so we just decided to leave, cameras safely stored again and eyes unsatisfied as any hope of getting a view of the sunrise on Mount Bromo had now gone. The mayhem started again. The crowds that a couple of hours earlier were all trying to reach the viewpoint now all moved towards the improvised parking lot, aka the road where the jeeps had casually dropped us off. Once again, we had to put our best efforts to avoid the jeeps and motorbikes that risked hitting us; we had to stop and jump for our lives to the side of the street, in the little space that was left among the parked jeeps. The noise was deafening, the exhaust fumes once more thick. The only difference was that now we were at least able to see where we were going. After miraculously finding our jeep and silent driver among what seemed to be like a million jeeps, we started making our (much too fast) way down towards the desert, from where we were meant to ride horses up to the crater of Bromo. However, a quick turn and the view opened up for us. There stood Mount Bromo, in front of our eyes, mighty and spiteful and making fun of us and of all our efforts – the early wake up call, the walk through “the slush”, the risking our lives, the screaming, the anger, the fright, the tripod placing, the hopeless waiting. 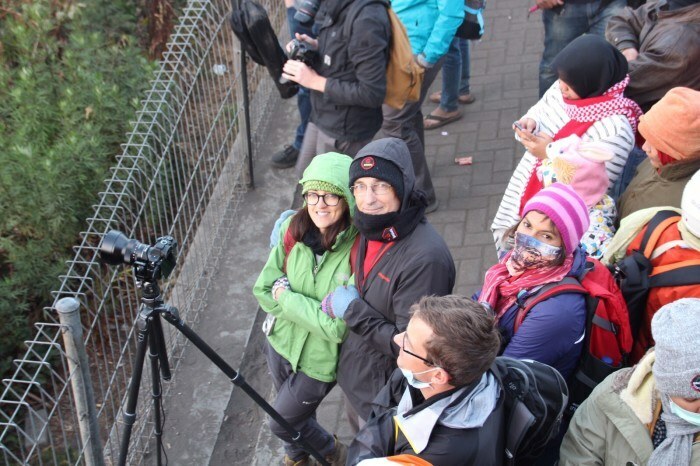 There was our opportunity to shoot a good photo, to have proper proof that yes, we had been to Mount Bromo. We could not miss it. We jumped off the jeep, and, used to the noise, the traffic, the pollution, the cars and motorbikes’ careless driving, we crossed the road to fight our way among the (actually lesser) crowd, to get to a good spot where we could finally catch on camera the spectacular view and hope that nobody else but us and Mount Bromo would be in the picture. It took quite a bit of effort, but I must admit that it worked. Mount Bromo looked pretty. I almost bought it. Almost. My love affair with Mount Bromo was not meant to be. I should have known it, since our relationship got off on a really bad start and it did all it could to put me off. And I felt a bit cheated. I soon learned that what I thought was Mount Bromo was in fact Mount Batok. Mount Bromo was right behind, having a good smoke. Getting back on the jeep once again, we finally set off to cross the sand desert. I was baffled. I could not fully grasp what I was seeing. Among the jeeps that sped their way through the sand, lifting a great deal of dust to mix in with the exhaust fumes, the last thing I expected to see were motorbikes. Not cross country motorbikes, though. Not the kind that can go on any sort of terrain. Proper, small city motorbikes. And each of them carried two and even three persons, in proper Indonesian style. None of the passengers wore helmets but “bravely” fought the forces of nature, sliding in the sand, lifting more dust as they tried to push the motorbike (which unsurprisingly silted) forward. At this point, I did not let the dust, the noise and the once again almost apocalyptic scene bother me. I was just amused by it, and at most puzzled. I suppose I got it figured out then: people in Indonesia have an idea of fun which consists in challenging life as often as possible, that involves motorbikes and which implies having as many people around as are available. Talk about cultural differences. Despite the mask, the thick sand got in my throat, causing me to cough strongly. By then, my throat was hurting. But the pain in my throat, the difficulty to breathe were soon going to be the least of my problems. According to the program, we were meant to ride horses to the top of Mount Bromo, so that we’d be able to see the crater and the thick sulfuric smoke coming out of it. Horses had already been arranged for the group. On paper, this sounded like an amazing experience. Pity is that the minute we got off the jeep, in the middle of the sand desert, I saw the horses that we had been provided. I immediately felt that what had so far been a challenging day was taking a turn for the worst. To anybody that has an even minimum interest in animal welfare, it was easily visible that those horses were not exactly cared for. There was no mistake that those animals were malnourished; there was little question that they were distressed. They showed all signs: ribs painfully sticking out of the thin bodies; foam at the mouth; chewing the bridels; stamping nervously. I had tears in my eyes; my throat tightened; my stomach tensed. It took me about a split second to decide that I would not contribute to their suffering and that I would not ride any of those horses. Only 3 others refused to ride the horses. The rest of the group, on the other hand, went on the ride on those very same horses that were unfit to carry heavy weights, and although they did notice that the horses didn’t look too well, they didn’t make much of it and joyfully rode them (to then realize that the poor animals could not carry them all the way to the top and that, when they summoned the owner to get down and just walk, this whipped the poor animal harder so that it kept moving). Don’t get me wrong though. I don’t blame the others for not behaving like I did. In fact, in a way I envy them for being able to toughen up, block any negative emotions, put up a brave face (something that I was completely unable to do – in fact, I cried for about one hour) and manage to appreciate the beauty of Mount Bromo and understand the cultural differences between their country and this one. I couldn’t and my experience was pretty much ruined, as now whenever I think of Mount Bromo all I can see are the images of those poor horses, whipped and starved; of the immense crowds, selfie sticks out, oblivious to the pollution and the damage to the environment they were contributing to. And all I can remember was hiking up to the crater, seeing the poor horses around me, pushing my way through the crowd, tears rolling down my cheeks. The smokey crater of Mount Bromo – I got to see it even without riding a horse: the walk is perfectly doable. I know I am perhaps overly sensible to animal welfare issues. I have been since I was a child, since that time my elementary teacher took my class to the circus and I thought it wasn’t really that much fun watching lions in cages being forced to act unnaturally. As I got to my room that night after visiting Mount Bromo, and for the following days (actually, for the following weeks and even now, as I write), I have tried to make sense of what I saw and of why I have felt that way. The words “culture” and “poverty” have come up often in conversations, with people telling me that some countries don’t have such a great culture in caring for animals, or it is their culture to behave in a certain way. But I don’t think that culture should be used as an alibi for the mistreatment of animals or for the fearceless exploitation of the environment. You see, I have spent most of my previous working life researching and writing on topics such as culture and cultural identity. While I have been an advocate for the protection of the right to cultural identity and the right of people to live their lives according to their (more or less) traditions, I can’t in any way use the cultural argument to justify cruelty and suffering, whether it is referred to human beings or to animals. I refuse to label an activity as cultural and then just accept it as it is, if the results are hurtful. I find it unethical. And I know through years and years of studies that culture is not a fixed, never changing concept. Indeed, culture changes with time, it evolves, and that doesn’t in any way make it “less cultural”. Traditional activities and occupations remain traditional even when they are practiced through modern means. One good example is that of people whose traditional occupation is in sheep-farming. Nobody expects them to still milk the sheep by hand for the activity to remain traditional. Not even the United Nations Human Rights Council, which has taken a clear stand in saying that culture is not static and it may actually develop without losing its protected character. So really, there is no way that I will ever justify the mistreatment of animals by saying that “it is the culture of the country”. I won’t just close my eyes, shut my mouth and pretend that all is good and move on with my life, because my conscience won’t allow me to and I feel I have a duty to inform, for as small as my voice is, and to contribute to change. I would like to stress that the way each one of us experiences a place is always a matter of his or her own personality, and many other factors are involved. I have indeed said on another post of mine that what may be hell to some of us, may well be heaven to others – and the fact that some of the others on my group truly enjoyed their experience on Mount Bromo, taken on the exact same day and exact same means, is proof of this. All in all, I think that each experience we have as we travel is enriching, even the ones we consider bad – because in a way they lead us to understand more about ourselves, to question ourselves, to test our limits. I don’t want to entirely rule out Mount Bromo from the list of places to visit in Indonesia. And But I would like to see changes before I recommend it to other travelers, and before I ever give it a second chance. Many things can be done to make sure that tourism in the area becomes more responsible and sustainable and some of them are fairly easily enforceable. Mount Bromo, indeed, although at the moment is so mismanaged that it makes various travelers end up holding horrible memories of it, has the potential of becoming an iconic attraction of Indonesia, and of South East Asia as well. If things stay as they are, my recommendation for anybody who is keen on visiting Mount Bromo is to make sure not to go during the weekend and to take alternative tours that don’t go to the viewpoint at sunrise, as this is what most people do. This is an extremely popular attraction among the locals, and they crowd the place in such a way that it completely loses its wild character and charme. Going during the week may be a better option, as it is bound to be at least less crowded. Picking a good tour operator to organize the guided tour is also a key factor. It is important to have a good guide that speaks English (or whatever other language one may understand); that fully explains how the activities will evolve throughout the day; that will follow the group at all times and guide it through the crowds so that it doesn’t get lost and that can provide meaningful insights on the attraction, on its significance in natural and cultural or religious terms. 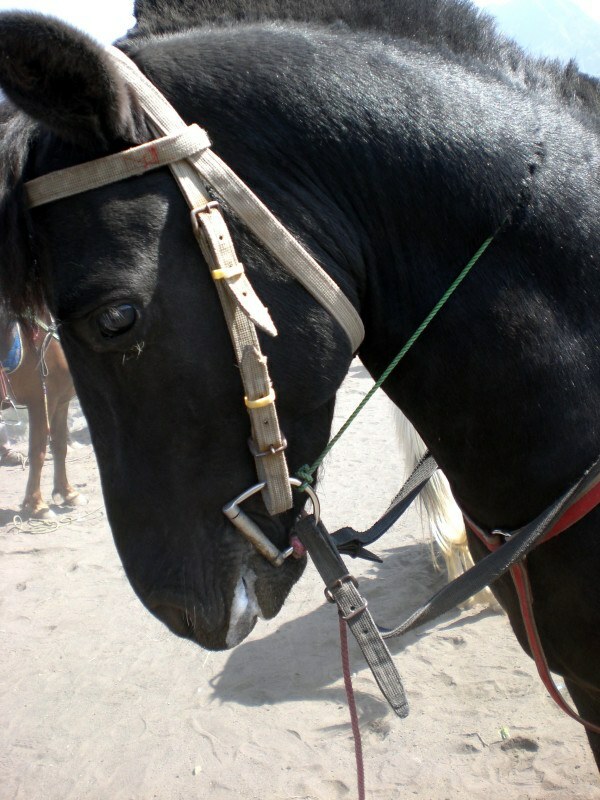 When picking the operator that will provide the services, it is important to make sure that the cars used are properly kept and equipped, and that if riding horses is an option, they outsource to locals who do feed their horses well and properly provide for them and don’t abuse them. Ask questions, such as: Are we going to have a guide with us at all times? How does the day develop, and what does the tour include? Is there a meeting point in case we get lost? Who should I contact in case of emergency? Are the horses we are going to ride well fed? Where are they kept? How many hours per day do they work? Try to make sure that the answers are not evasive, because that may well be a sign that the operator isn’t reliable and that it is outsourcing its services to the cheapest provider, which will keep the costs down at the expenses of the environment and the animals. 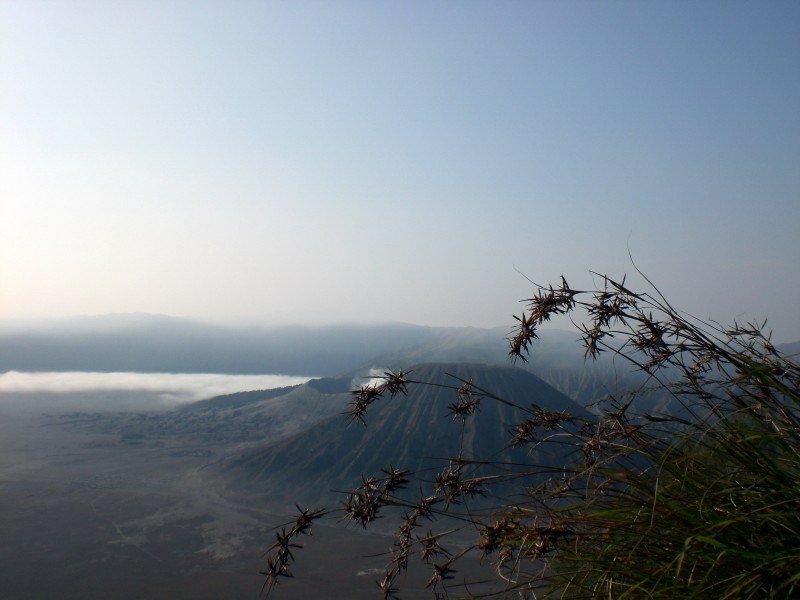 A more sustainable and responsible approach to tourism in Mount Bromo may imply limiting the number of daily visitors, something that has been done to several key attractions around the world, in order to protect their cultural, natural and historic relevance and uniqueness. 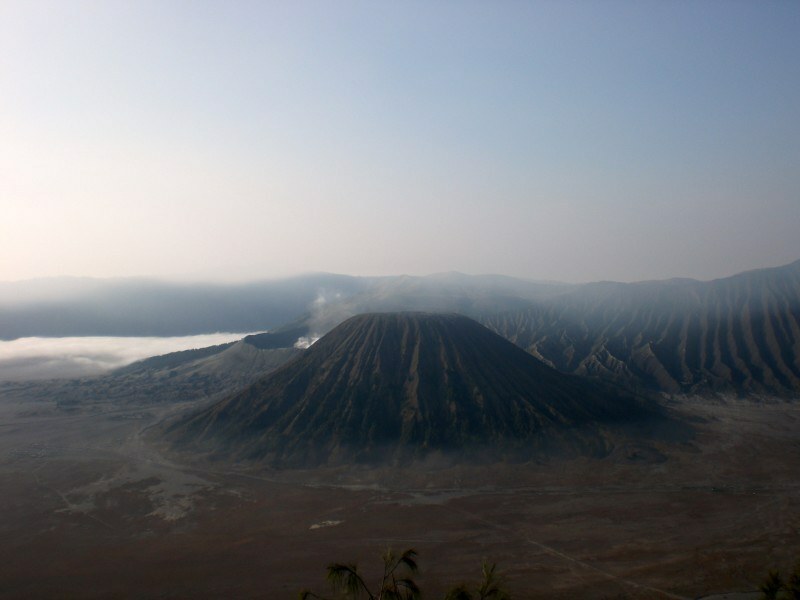 It may be necessary to implement a system of online reservations to access the attraction, but nowadays setting up a website and a reservations system is easy and the benefits for the preservation of the natural beauty of Mount Bromo would be countless: cleaner environment including cleaner air; less people and thus less cars meaning less pollution and traffic; and the fewer visitors could count on a more thorough, enjoyable and all encompassing experience. 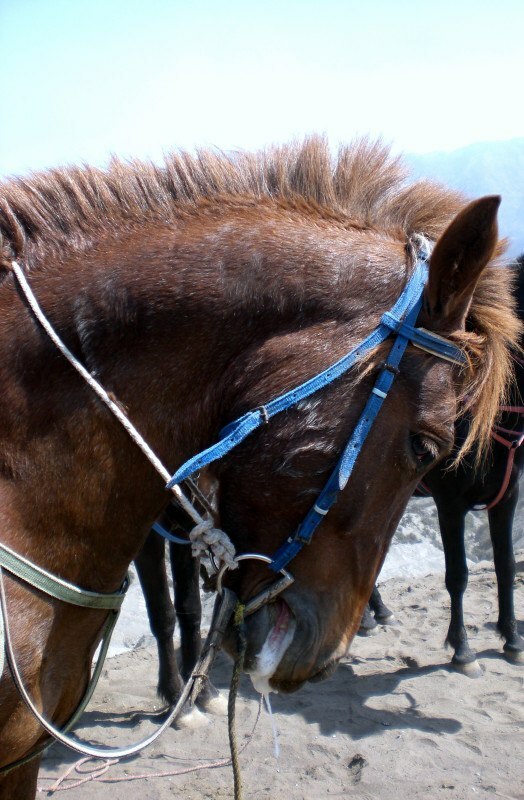 Another advice would be that of closely monitoring the horse dealers at the feet of Mount Bromo, and require that before providing their services of renting horses they meet at least some minimum standards in terms of animal welfare. Horses need to be properly fed and must have plenty of water when working; the number of working hours should be limited and even the amount of weight they can carry should be based on their own size. 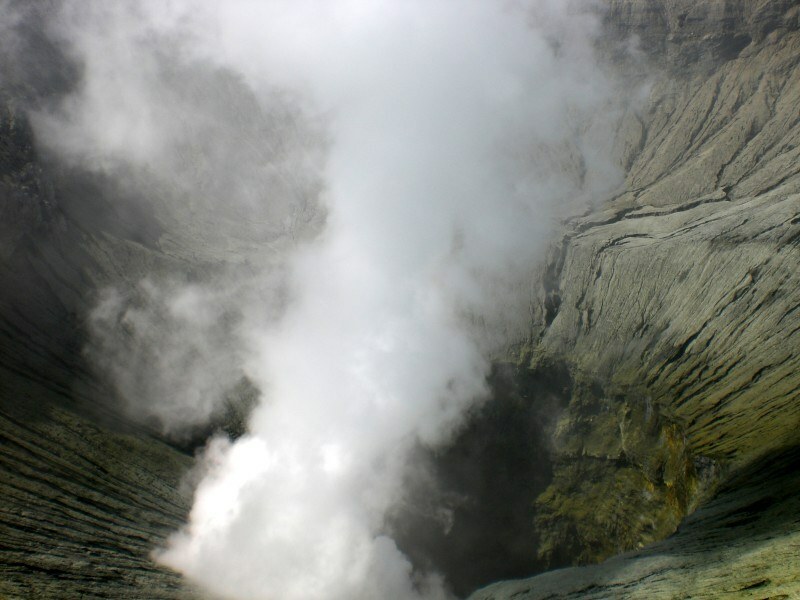 The main point here is trying to ensure that Mount Bromo is not completely exploited and consequentially ruined by mass tourism for the sake of easy and short term money, but that it becomes the avant-guarde in terms of careful management of a natural attraction, one that should be proudly protected and that will eventually lead to a more steady, durable revenue. The authorities of Indonesia have proved on other occasions, in other places (such as on Komodo National Park) that if they want they can take responsible tourism and protection of the environment and the wildlife of the country quite seriously. It would be good to see that the same is being done on Mount Bromo. It would be great to see its real beauty blossom. Legal Disclaimer: This article was written in partnership with the Ministry of Tourism of the Republic of Indonesia as part of the #WonderfulIndonesia campaign. All the views and opinions expressed are my own and based on my personal experience. The views expressed are honest and factual without any bias. People in Cuba love their animals and the country seems to be pet friendly. Surely, animals are way more free to roam around than they are in other countries. Anywhere you go, there are dogs walking about, some of them pure breed dogs. Most of them are actually owned by families, but at times they befriend tourists and beg for food, other times they go throught garbage (however, I must say that the island is incredibly clean and only seldomly there is garbage in the streets). What is more surprising, however, is that anywhere in Cuba you will see chickens, pigs, sheeps and goats, horses and even cows. Most families keep chickens for eggs. However, chickens are not kept in cages but freely roam in the streets and gardens, picking on just about anything (is there anything more free range?). You may find that chickens and pigs are eating right next to you in gorgeous Playa Maguana. It is not surprising to be woken up by a chicken in Vedado, Havana. Less than surprising to see a chicken in the main square of Vinales, or even next to the pool in Las Terrazas. I wonder how a family knows which are its chicken, but nevermind that! Goats, sheeps and pigs are almost as free in Cuba – especially in more rural areas – but you might find that the obnoxious smell at 4:30 pm in your casa particular in Trinidad centro historico is nothing more than the neighbours’s pigs eating. Again, is there anything more free range than this? Horses in Cuba are mostly a means of transportation: everywhere you will see horse carriages, most of them pull up to 8 people, who have to pay a price to get on the carriage. Horses are also used to clean gardens from unwanted grass – they will eat that, and leave the lown so neat and tidy! Donkeys, on the other hand, are used to transport goods. Cows are used to work the land, or so I was told. Cows and horses are property of the state, which explains why all of them are marked and why it is very very hard to find beef in Cuban menus. It is actually forbidden to eat horse meat and even beef (some say it is because it is too expensive for them to buy it, some say the government forbids it for health reasons). Apparently, it is a very bad crime to kill horses and cows, and if for some reason one of them dies the state has to open an investigation to make sure it died of natural causes! Seeing these kinds of animals roam (almost) freely is surely a more interesting experience than seeing crocodiles and dolphines forced to live in small cages or aquariums. Anyways, if you like animals, you will not miss a chance to see loads. And do not forget to carry goggles to see the coral reef!